Home Past Valeo Innovation Challenge winners share their success stories! Past Valeo Innovation Challenge winners share their success stories! As the second stage of the fifth Valeo Innovation Challenge (VIC) gets underway, let's take a look back at the winning technologies from past editions and hear from the winners. The nine finalists selected for the second stage of the Valeo Innovation Challenge 2018 have just been announced and the clock is ticking for them! They now have 15 weeks to accelerate their projects and convince the jury with their presentation at the finals in October. Like them, you’re probably wondering what it takes to win and what’s happened to the winning innovations from past editions. Well, who better to ask than the past winners themselves? 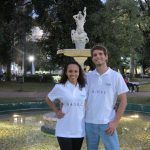 Team SADEC from Brazil won the top prize in the very first edition of VIC, in 2014, for their innovation that would help improve fuel efficiency and reduce CO2 emissions. “Thanks to VIC, we were able to file a patent for the innovation and develop it further,” said Alexandre Marques Bemquerer, a member of the team. He has since improved upon the innovation with the newer version being lighter, more efficient and more apt at handling heavy loads. VIC not only helped him develop a product, it also helped boost his career. “Winning VIC gives me an advantage when applying for a master’s degree,” he added. 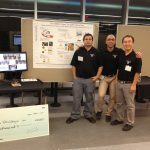 That same year, VeMAColleagues—a Canadian team from the University of Waterloo—won second prize for proposing an innovative vehicle-to-vehicle communication system to improve road safety. After VIC 2014, the team was able to further develop their innovation, commercialize the product and present it at the TU-Automotive Detroit conference—the world’s largest conference on automotive technology. For Cesar Eduardo Vazquez, a member of Cley, the team that won VIC 2017, winning was about more than just the money and a line on his CV. 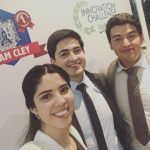 “The competition gave us the opportunity to prove our skills and ideas in developing a project focused on automobile innovation. We improved our team work, communication and technical skills in a professional environment. And, most challenging of all, we had to create a working prototype within the given deadline,” he explained. The Valeo Innovation Challenge may be only five years old but it has already had a major impact on entrepreneurship in automotive technologies. From filed patents to actual product commercialization, the sky’s the limit for our winners! By giving students the support they need to take them beyond the initial design phase, Valeo is enabling the next generation of innovators to fulfill their dreams. Now it’s time to start the countdown and wish our nine finalists the best of luck!